V2447. 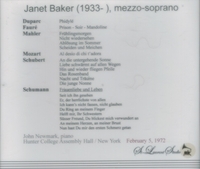 JANET BAKER, w.John Newmark (Pf. 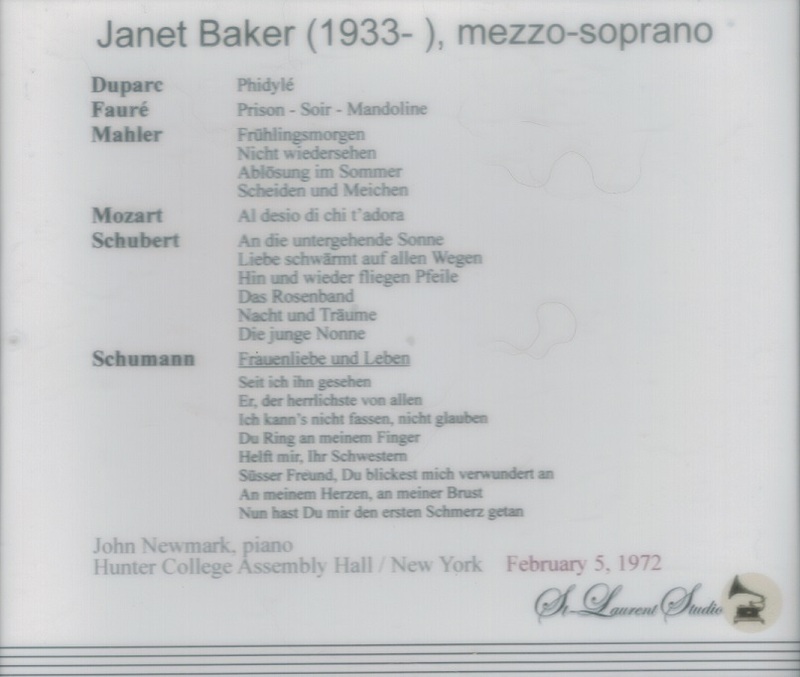 ): Songs by Duparc, Gounod, Fauré, Quilter, Warlock, Mozart, Mahler, Schubert & Schumann (the latter's 'Frauenliebe und Leben') - Live Performance, 5 Feb., 1972, Hunter College Playhouse, New York. [Recorded independent of extraneous audience noise, this recording captures the spontaneity of the recital with no more than the occasional applause at appropriate moments, never within groups - it was a duly cultured audience!] (Canada) 2-St Laurent Studio YSL T-298. Transfers by Yves St Laurent. 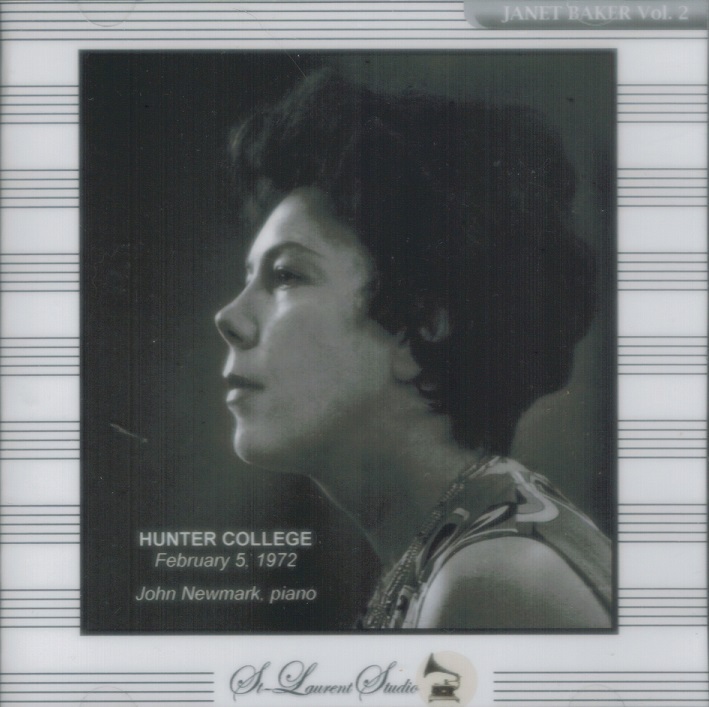 "Another deeply moving Baker recital from Hunter College . . . her 'Phidylé' and 'Frauenliebe und Leben' alone are worth the price of this memorable evening."